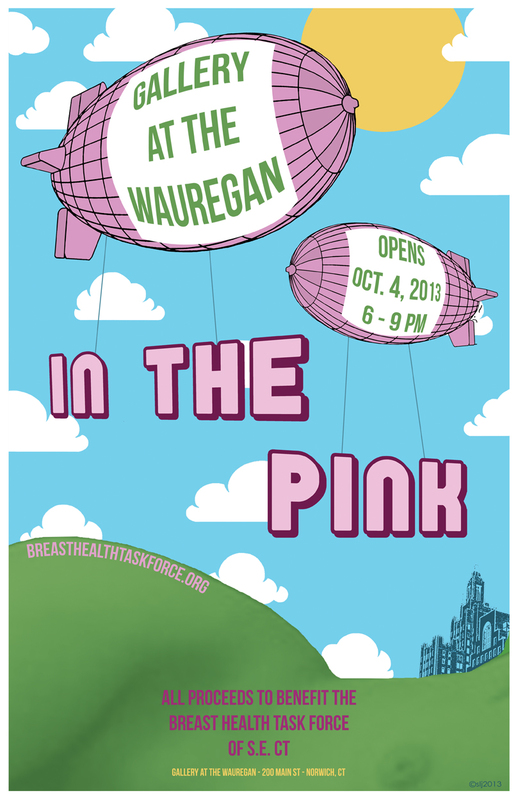 I created this poster for the annual “In the Pink” show at the Gallery at the Wauregan. This show is one of many that are participating in the 8th annual “In the Pink” regional art exhibition in SE CT which celebrates breast cancer awareness month. Ta! Or should I say “ta-tas”?